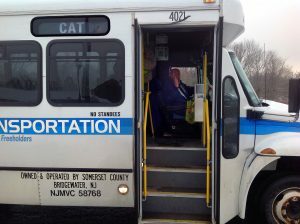 Somerset County operates three different public transit bus lines – SCOOT, DASH and CAT. These buses can be used by anyone for work, school, errands or recreation. Somerset County buses operate Monday through Friday. No appointment is necessary to ride. The fare is $2.00 per trip, and transfer tickets can be purchased from the driver for $0.50. Rather than having designated bus stops, Somerset County buses follow a flag system; passengers “flag” or wave to signal the bus driver to stop anywhere along the route where it’s safe for the driver to pull over. The locations and times listed on the bus schedules are approximate time-points, meaning the bus is expected to be in the area around that time. To ensure the bus stays on schedule, the driver will not stop if there is no one waiting to board the bus at a particular time-point. Passengers can get on or off the bus anywhere along the route. RideWise now has interactive maps of each bus route. To view the maps, please click here. When using the maps, it is recommended that you cross-reference with the bus schedules. SCOOT, DASH and CAT run Monday through Friday only. SCOOT, DASH and CAT follow a fixed route and schedule. Drivers will not make unscheduled route changes. Route deviation service is available where conditions allow. One deviation per trip will be allowed. Riders needing route deviation must call 908-231-7151 24-hours in advance. The fare is $2.00 for a one-way ride. Exact change in coins or dollar bills is required. Transfer tickets can be purchased from the driver for $0.50. Tickets can be purchased in advance, at face value, from the driver or by calling 908-231-7151. Children age 5 and under ride free if accompanied by an adult. All buses are accessible. Drivers will assist customers who need help getting on or off the bus. The bus route is subject to change due to weather conditions, roadway construction or other unforeseen circumstances. Service animals, respirators and portable oxygen tanks are permissible. Visit the links below for information regarding bus routes and schedules. There are three separate CAT shuttle routes – CAT- 1R (Branchburg, Somerville, Bound Brook, South Bound Brook, Franklin, New Brunswick), CAT-2R (North Plainfield, Bound Brook, Somerville, Raritan, Branchburg) and CAT-3R (Bridgewater, Somerville, Raritan, Branchburg; only makes one loop in the morning). All three routes travel to Raritan Valley Community College. CAT shuttles do not run on weekends. DASH travels between Bound Brook and the New Brunswick Rail Station by way of Davidson Avenue and Cottontail Lane in the Somerset section of Franklin Township. Connections with the Raritan Valley Line can be made at the Bound Brook Rail Station. Connections with the Northeast Corridor Line can be made at the New Brunswick Rail Station. There are five different SCOOT bus routes. 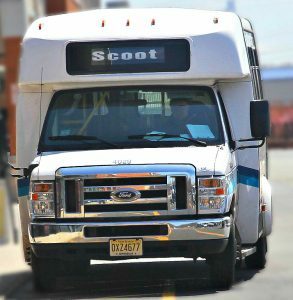 SCOOT- R1 and SCOOT – R2 travel to and from Bound Brook, Bridgewater, Hillsborough, Manville and Somerville. SCOOT 858, 859 and 860 run during peak morning and afternoon commuting times and travel to and from Hillsborough, Manville, Somerville, Bridgewater and Bedminster. 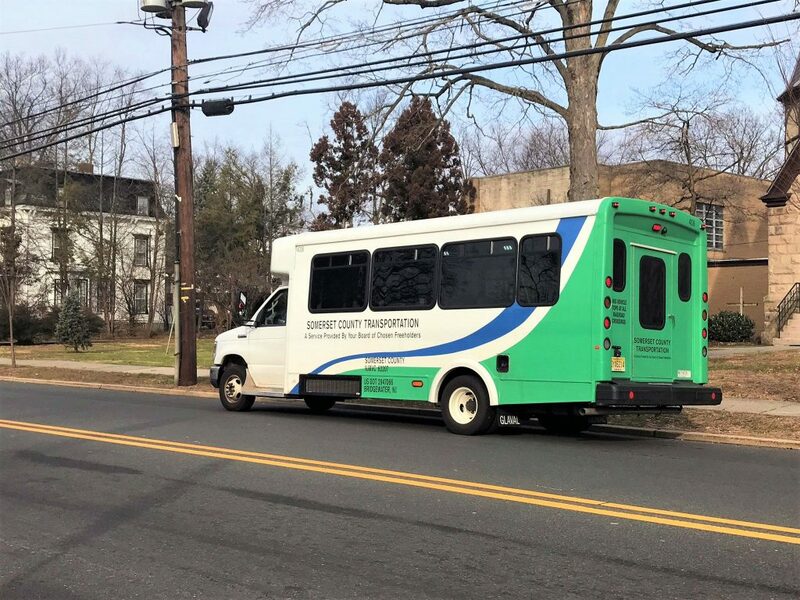 The Hunterdon County LINK Transportation System provides weekday service from Flemington to Raritan Valley Community College and Bridgewater Commons Mall. 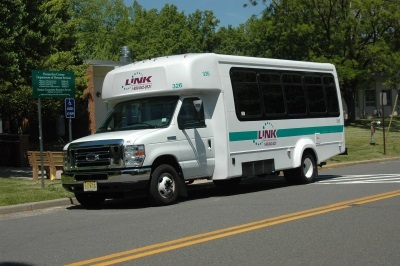 The Route 23 LINK bus serves Flemington Borough, Whitehouse, Branchburg ShopRite, Raritan Valley Community College and Bridgewater Commons Mall. The fare is $2 per day, unlimited boarding. Fare is paid on board the vehicle. Exact change is required. No additional fares for transfers between LINK Routes 16, 19 and 23. Your receipt is your “ticket” for same day re-boarding.